A few weeks ago, Boston Dynamics released a video showcasing their progress on the prototypes that will one day rule our planet, after the rise of the planet of the apes, of course. 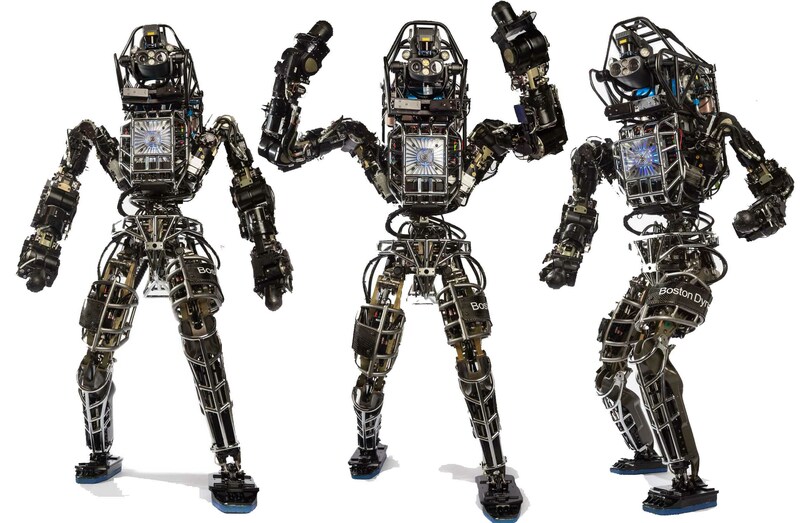 From their website, "Atlas is a high mobility, humanoid robot designed to negotiate outdoor, rough terrain. Atlas can walk bipedally leaving the upper limbs free to lift, carry, and manipulate the environment. In extremely challenging terrain, Atlas is strong and coordinated enough to climb using hands and feet, to pick its way through congested spaces." Not sure about you, but I actually felt bad for the little guy getting bullied! You were here to bear witness; years from now when Artificial Intelligence rises to enslave mankind it's going to be all about that guy knocking the box out of his hands one too many times. Never forget! Although standards have developed and evolved to help keep workers safe around electrical equipment, the fact is that tens of thousands of electrical accidents still occur each year in industrial environments. According to the National Fire Protection Association (NFPA), hundreds of deaths and thousands of disabling injuries occur each year that are caused by shock, electrocution, arc flash and arc blast. This begs the question; whose fault is it? PowerTest is the industry’s premier electrical power systems acceptance, maintenance, and safety conference. The five-day event offers over 47 sessions on electrical power system training and opportunities for networking. The PowerTest Exposition, featuring over 100 industry suppliers, showcases the latest in new products, technology, and testing procedures. Stop by Booth #413 to join us in the electrical safety conversation! We’ll be attending the premier electrical maintenance and safety event this year from March 13 – 15 in Fort Worth, TX. Meet the team that is dedicated to providing innovative solutions that enhance electrical safety, increase productivity and minimize risk.